The “San Giacomo” Farm was born in 1993 for will and passion of Claudio Nardi and Graziella Pieri. 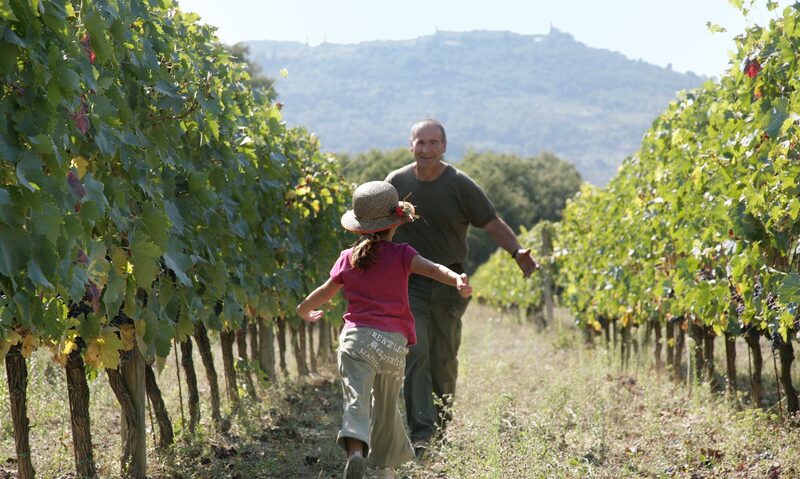 The “San Giacomo” Farm is located in the nord-east site of Montalcino, at the altitude of almost 300 meters. This small family farm cultivates 5 hectares of vineyard included entirely in the quality of Brunello and other 2 hectares of land for sowing. 100% Sangiovese Grosso (it is called Brunello in Montalcino), it is obtained from grapes strictly selected for grape harvest. alcoholic fermentation with traditional maceration called “a cappello” (when the grapes come to the surface) in steel tanks. Total time: 12-15 days. 6 Months in french oak barrels of capacity of 20/30 Hl. 36 Months in french oak barrels of capacity of 20/30 Hl, 6 Months in “Tonneaux”. 12 Months in “Tonneaux” of french oak of capacity of 500 liters. Reach us with Google Maps!